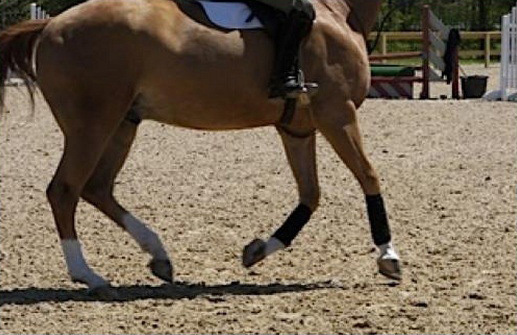 Our arena footing products are designed for the comfort of horse and rider. The custom blends offer more resilience, reduce the amount of packing and help to retain moisture in the surface. Your riding arena is an investment in the future; let us help you get there with the quality product that we offer. Contact us today to learn more about our footing options and find the perfect option for you. 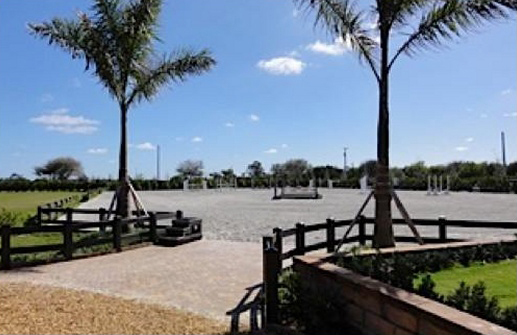 The arena footing products are engineered under the highest standards of quality control. 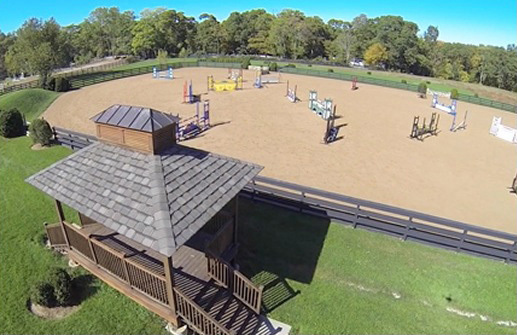 You want to be sure that the specialized footings, traditional blends and sands you are using in your arena bring you the most value in terms of quality product, service and longevity. Our specialized blends include: TravelBright, TravelRight, TraveLite and Superior Riding Surfaces (SRS). We also offer a range of additives that can revitalize and stabilize indoor and outdoor arenas and offer tremendous value for your investment. If you have any questions about the products please contact us; we are here to answer all of them and provide you with the facts. With mixing capabilities in the Kentucky, Virginia and Tennessee regions, we can blend and ship any of our products at a cost-effective price. TravelRight Footing is a proven superior blend consisting of 2 different high-quality silica sands, 100 percent clean virgin rubber, European Geo Textile fibers, and a vaseline solution . Introduced 10 years ago, the quality of TravelRight dust-free arena footing has been proven and established. FootingFirst continues to manufacture TravelRight arena footing under strict guidelines to maintain the outstanding aspects of this dust-free, “Stay Put” riding arena footing blend. Clients who have installed TravelRight arena footing include Olympic dressage riders and Olympic show jumpers in the USA and Canada. TraveLite footing is an economical, dust-free footing that provides good cushion and spring while maintaining stability and minimal tracking. TraveLite footing consists of high grade silica sand, top quality Geo textile fibers which are blended with our dust-free product. It is the perfect dust-free, cost-effective footing for avid riders and private facilities alike. TraveLite is a great choice for most riders who are looking to start with a no dust footing. TraveLite can be amended as time and budget allows you to improve or modify performance if needed. It can also be used to improve existing footing in order to create a more turf-like feeling. This product is our newest arena footing. TravelBright is a unique blend of high-quality silica sand, 100 percent clean rubber, geo textile fiber and the highly effective dust control product Stay Put. Appearing lighter in color than other footing, TravelBright has less adhesive and tolerates climate changes very well. The light color makes this footing ideal for indoor rings and the superior quality of the sand promotes excellent drainage for outdoor rings. Providing excellent traction and stability, TravelBright has just the right amount of cushion to enhance your horse’s natural movements. 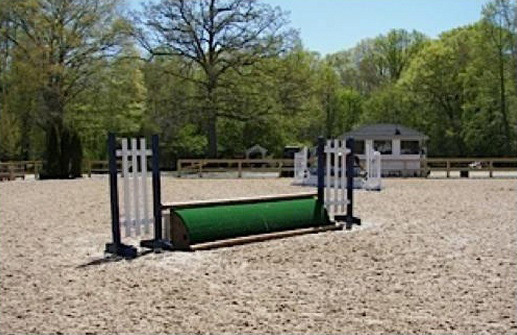 This arena footing has been installed in arenas from New York to California, with great reviews. Superior Riding Surface (SRS) is a water-dependent footing, consisting of the highest grade of silica sand and fibers to create a footing that will stand up to traffic when properly hydrated. This arena footing is custom-blended to meet our client’s individual needs. SRS can be formulated to withstand the traffic and impact of a competitive horse show and it can be blended to a softer mix for lighter use. This arena footing is quickly becoming the choice of top international riders because it can be custom-blended for indoor and outdoor arenas and for riding at all levels. Our excellent ebb and flow system comes from Europe. Providing water from below, this system keeps the footing moist at all times. Ebb and flow uses one-third of the water supply that any other system that requires irrigation needs. 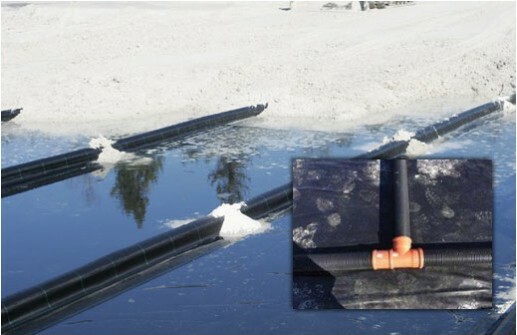 As water becomes a commodity, this is extremely useful in areas like California and Arizona. Many top international riders prefer this system over many others, as it offers a dust-free surface at all times and a softer working environment for the horse. Some footings are too firm for everyday work at home.